Brothers and sisters in Christ! TheCall has established a 40-day fast for The Call for California. I just received word from the headquarters about the official dates for this fast. It begins on Tuesday, September 23rd and ends on Sunday, November 2nd. Many faithful men and women from California are joining in this powerful expression sanctioned by TheCall. However, thousands of believers throughout the world are supporting this effort by also joining in the 40-day Fast for California. Some people are using a normal fast (water only), but most of those joining in the Call for California will use the Daniel Fast, which is a partial fast (abstaining from specific foods). This is an exciting time for following of Christ! Praise God that we have access to the most powerful God. And in these times of economic turmoil, presidential elections, and weather disasters – we can keep our eyes on the Redeemer instead of the circumstances of the world. Please, let us know if you are among those called to The Call for California. Let us support you in prayer! 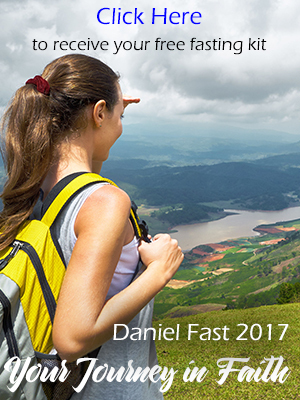 I’m heading to TheCall and just started a Daniel fast today (albeit a few days late). Thank you so much for maintaining this blog, the information is very helpful! Please pray for grace, power, and my intimacy with Jesus during this fast! Thank you for your prayers and support! This is my first time doing the Daniel Fast. I am fasting for three things. 1. The Call for California 2. Revival to hit San Francisco…yeah God!! 3. the end to human traffiking here in San Francisco and globally. I’m soo excited at what God is about to do!! GO GOD!!!! Yup i’m all in for the daniel fast for california! i’m canadian spending a year here is Redding and BSSM…. Oh God would you break in… for such a time as this.. would your people rise up and stand for justice! Pray for CALIFORNIA! As I have often done, I thank you for your faithfulness with this Website and the information (ministry) you provide. As I “coincidentally” (God ordained actually) went to your site today, since I had started a Daniel fast for another reason (and felt led to look at your site,) I saw the information about The Call California. I know God wants me to join, even though I don’t know exactly what else I can do from here in Alabama, except pray…so, fast and pray I will!! Prayers from you and other DFast members will be greatly appreciated, as I ask specifically for God to make his will known to me, for any other specific involvement with this movement that He may have planned for me. Thank you for your prayers to support me for this fasting .